Hardwearing organic cotton twill combat shorts fit for a world explorer. 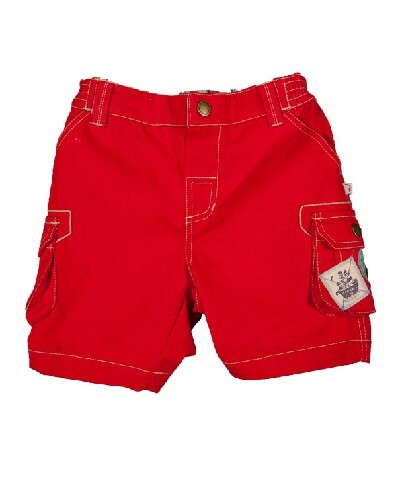 Embroidered globe and Frugi brand badge on the pockets make these shorts stand out from the crowd. Adjustable elastic and soft check fabric inside the waistband make them comfortable and adaptable. Looks fabulous with the Nautical Applique Envelope Top!